Toky is an ECES Administrative and financial assistant. 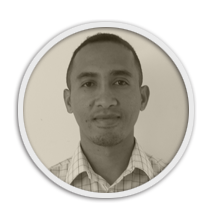 He started at ECES in 2013 as Finance assistant for PACTE-Madagascar Project. Toky had a solid training in Accounting and Finance. He held the position of Computer Department assistant and Finance in an American NGO for over 10 years. Having served first as a Computer assistant, Toky has been able to build a solid basis in the field, while providing technical assistance to members of associations supported by the NGO or the organization’s partners. Having subsequently joined the administrative and financial staff of the NGO in 2002, Toky has held the position of financial resources assistant of the organization, from donors such as the USAID , the World Bank , ILO, ADB, Alliance International. From January 2010 to August 2012 , he served as Chief Financial Officer in a national association that supports the education of vulnerable children. During this period the association managed to get an international funding.